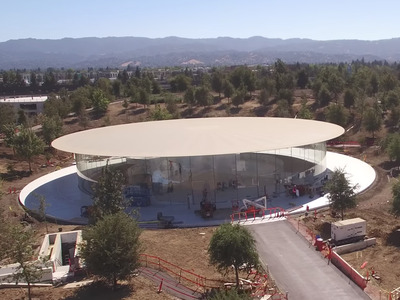 YouTube/Matther RobertsThe Steve Jobs Theatre, located on Apple’s new Apple Park campus. Apple is widely expected to launch a new iPhone next month. It’s supposed to be a stunner. 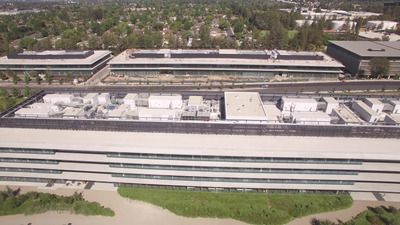 Where will Apple CEO Tim Cook hold up the latest iPhone for the first time in public? 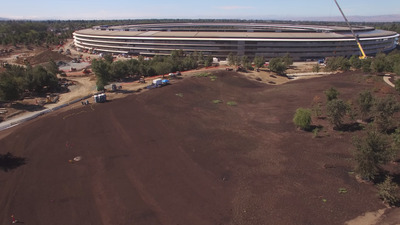 It could be at a big space in San Francisco, like last year’s iPhone event. Or it could be at the underground, 1,000-seat Steve Jobs Theatre on Apple’s new $US5 billion Apple Park campus, which looks nearly ready for its close-up in the latest video from drone videographer Matthew Roberts. 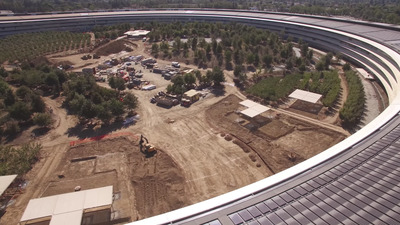 The beautifully shot clip shows Apple putting the finishing touches on the building’s landscape. 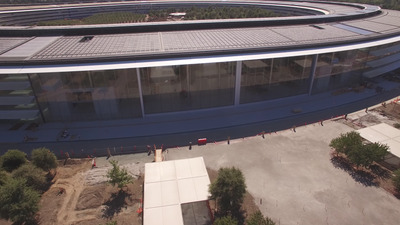 It may be one of the last Apple Park drone videos from this pilot as construction wraps up, Roberts said in an email. 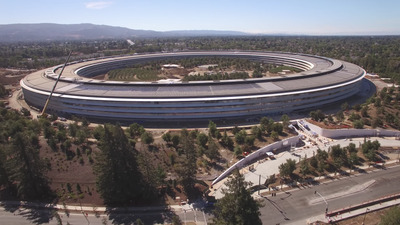 Apple Park's main building is nicknamed the 'Spaceship,' and it certainly looks like one from a distance. Construction workers on the project agree. 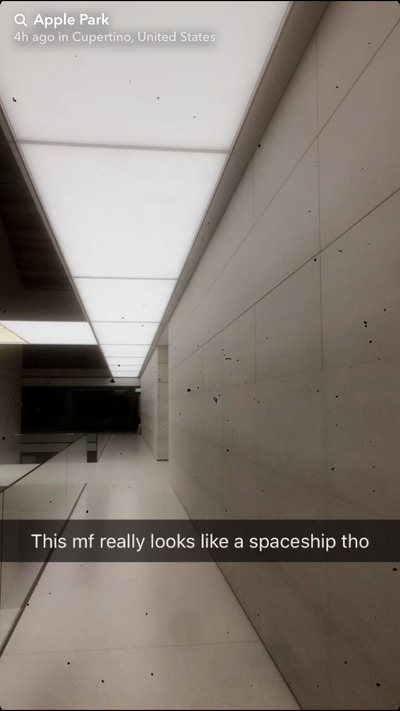 More snaps from inside Apple Park here. 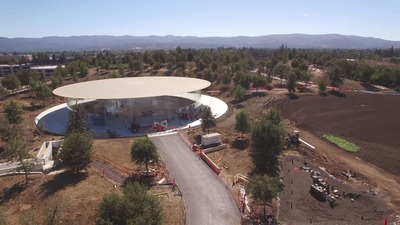 Here is the Steve Jobs Theatre from a distance. This is merely the entrance. Most of the seating is underground. 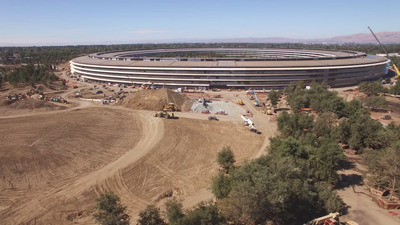 You can see workers putting the finishing touches on the interior. 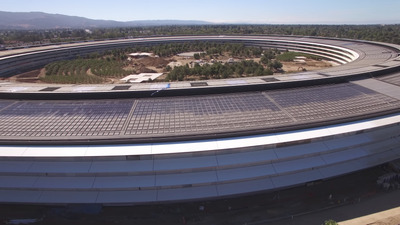 The roof is covered in solar panels. 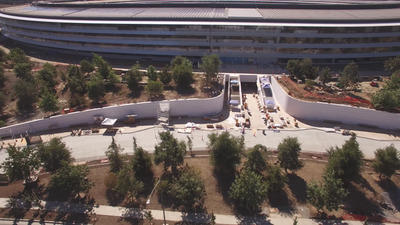 A series of underground tunnels handle traffic from cars without marring the surface. 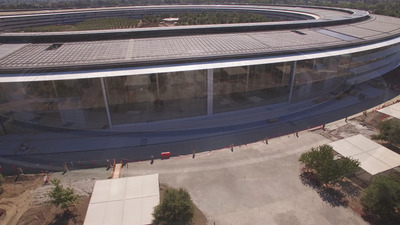 Apple Park has four-story-high glass doors opening to a massive atrium. 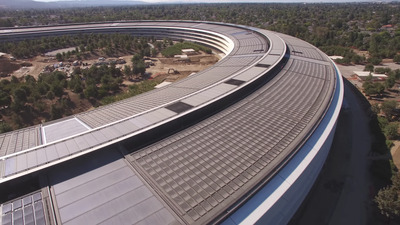 All of the windows on the building are made of curved glass. 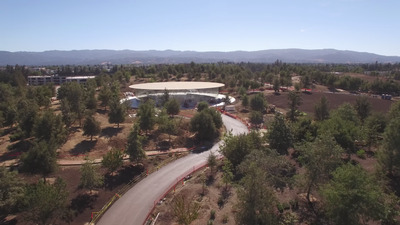 Though the building looks move-in ready, lots of landscaping needs to be done and trees need to be planted. 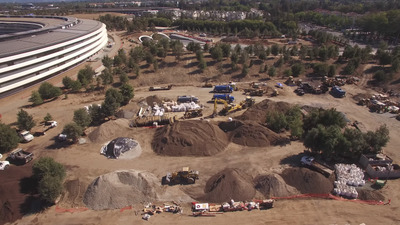 The idea is that, when completed, it should look like a lush forest or park with lots of trees native to Northern California. 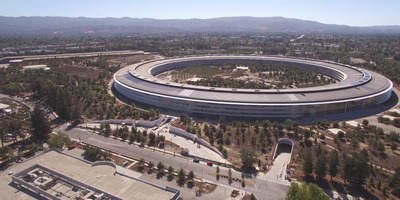 The campus includes other office buildings, like these more conventional research-and-development buildings. Inside the ring will be parkland too. 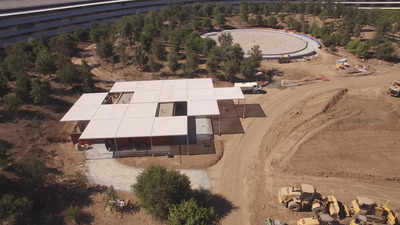 A circular fountain in the middle is not done yet. Here you can see some trees ready to be planted. 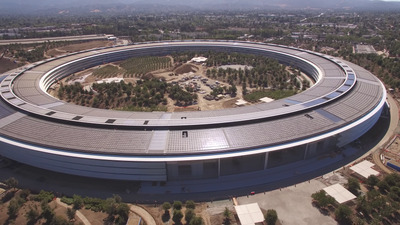 The main structure was conceived more like an Apple product than a building, according to Apple executives. We can't wait to see what it looks like when the landscaping is done.